FRANKFURT -- Volkswagen Group's trucks chief, Andreas Renschler, wants to take his division to "the next level," with the manufacturer considering a stock listing that would catapult the $37-billion unit into the blue-chip ranks of Europe's largest economy. "An initial public offering is just one of the options, another is that we could issue our own bonds," Renschler, who oversees the Scania and MAN truck brands, said in an interview at the company's headquarters in Wolfsburg. "It's ultimately a decision for our shareholders." VW unveiled a sweeping company overhaul on Thursday that included naming Herbert Diess as its new CEO. In the deepest revamp since the diesel-emissions scandal, key stakeholders also agreed to ready the trucks unit for potential access to capital markets. Changing the unit's legal status into a stock corporation will help us avoid "wasting time once we have a decision by our shareholders," Renschler said. An IPO of VW trucks would mark the next major transaction in Germany since Siemens Healthineers raised 4.2 billion euros ($5.2 billion) in the country's second-biggest public offering in almost two decades. The VW unit struggled for years to generate economies of scale between Scania, MAN and a Brazil-based operation that makes VW-branded commercial vehicles. Renschler has sought to address the problem by deepening internal cooperation and accelerating efforts to expand the unit's global presence. The unit sold 205,000 commercial vehicles last year, up 12 percent from 2016, as revenue grew 12 percent to 23.9 billion euros and operating profit excluding special items increased 27 percent to 1.7 billion euros. It employs 81,000 people in 17 countries. 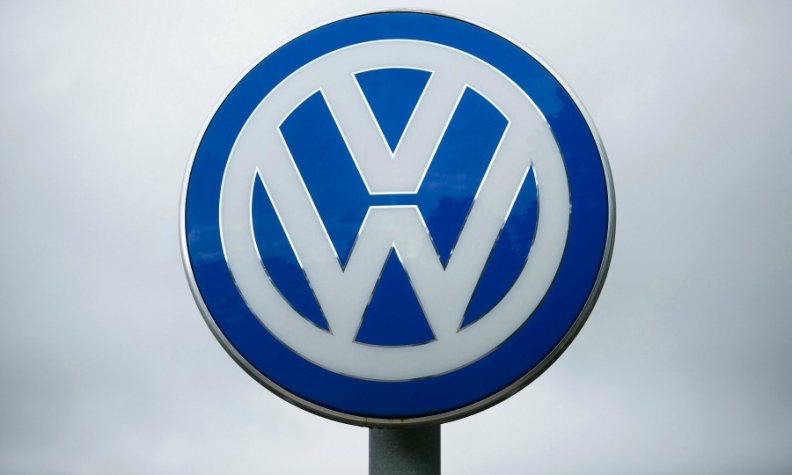 VW chairman Hans Dieter Poetsch told reporters on Friday the manufacturer will retain a controlling stake in the business and that a share sale might not happen until 2019, as it still requires final approval. VW's second-largest shareholder, the German state of Lower Saxony, has voiced its support for a deal, with local Economy Minister Bernd Althusmann -- who represents the state on VW's supervisory board -- saying he is "confident the stock listing will be successful." VW signed a cooperation agreement with Toyota Motor's Hino unit last week and in 2016 acquired a 17 percent stake in U.S. peer Navistar. "We're very satisfied with the development at Navistar," Renschler said. Renschler is now looking to expand the unit's presence in China and other markets, since it still lacks the global reach of commercial-vehicle industry leaders Daimler and Volvo. With rumors of an IPO also swirling around Daimler, VW will need to address a pending legal dispute with minority shareholders at the MAN SE subsidiary if it wants to beat Renschler's previous employer to a share sale. Beyond vehicles, Renschler plans to generate extra revenue by selling more engines to other customers, such as agriculture-equipment makers. "The off-highway business is very important for us as it enables us to sell commercial vehicle engines with very few changes to our partners," Renschler said.